They made the plea to the commerce ministry seeking protection to the local industry claiming that increasing import of finished products was shrinking the market of the domestic industry as well as pushing the sector into the uneven competition with commercial imports. In a recent letter to the commerce minister Tofail Ahmed, Chittagong Chamber of Commerce and Industry said that commercial importers were paying only 3 per cent customs duty on import of some finished steel products including cold rolled steel and colour coated coil and sheet under duty benefit of South Asian Free Trade Area. There are also incidences of misdeclaration on thickness and size of the products affecting the local industry, it said. Some local manufacturers have also made the same demand to the ministry. Commercial importers are enjoying the duty benefit on import of eight types of steel products including flat rolled products of iron or non-alloy steel — plated or coated with tin, lead and zinc or painted, varnished or coated with plastics. The products are coming into the country mainly from India under the benefit. The chamber said that the government should impose 25 per cent regulatory duty on import of the products to protect the industry and assist the sector to grow. The government should have a policy to promote heavy industry like steel manufacturing as well as to discourage import of those products being manufactured in the country, it argued. The trade body also said that the government should also increase the regulatory duty to 25 per cent from the existing 3 per cent on import of three types of steel products including corrugated tin. A total of 60.73 per cent customs duty is in place on import of the products. Currently, the domestic industry can produce annually 10 lakh tonnes of cold rolled steel and 2 lakh tonnes of colour coated sheet, corrugated tin and industrial profile. Two more factories are in the queue to start production of colour coated sheet on rising demand for the product. Cold rolled and colour coated sheet are also being exported after meeting the domestic demand. But rising commercial import of the products is a matter of concern for the domestic manufacturers, the chamber said. Commercial import of the products reached 3.75 lakh tonnes in 2017 due to the benefit under SAFTA from that of 50,000 tonnes in the previous year, it said. 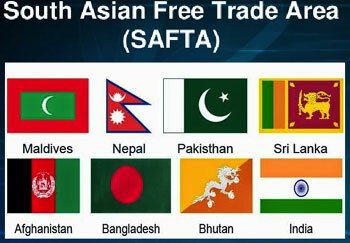 Commerce ministry officials told New Age that Bangladesh Tariff Commission, on request of the ministry, recommended that the government impose 20 per cent RD on products imported under SAFTA. BTC made the recommendation after analysing the overall situation as well as conducting on-spot visit to some factories, they said. The recommendation has also been forwarded to the National Board of Revenue for consideration, they added.